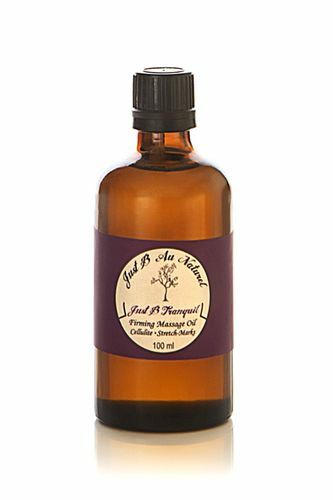 Just B Au Naturel's Firming Massage Oil acts on cellulite, stretch marks and helps in toning. It's time to step away from the chaos and escape to a world of harmony, an enchanting mix of luxurious, anti-aging certified organic oils of Avocado, Jojoba, Grapeseed, Sesame and Wheatgerm oils enhanced with a custom blend of premium, therapeutic grade certified organic essential oils that calm the mind, relieve muscle tension and soothe dry irritated skin. Regular use will balance the skin and tone the skin surface, helping reduce the appearance of cellulite and skin conditions like dryness and scars.